The truth is that it is absolutely good for one to look his or her best. In fact,there is nothing as good as looking good especially to the satisfaction of oneself,because,it boost morale and courage. However,what is this about looking extremely good to the point of making one's complexion look like another or looking like people from other race? Are there some people who are created ugly? Are some people actually made or created specially on Sunday? Well,the ball lies in your court! 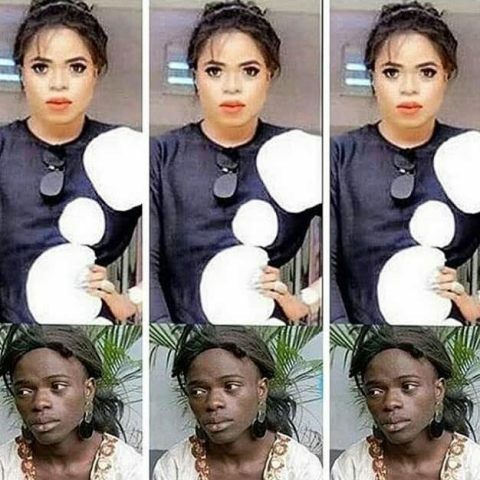 The picture above is that of Okuneye Idris Olanreju, popularly known as Bobrisky. Yes,hardly will you know that the pictures are replicas of one person. To summarize,the second image in black dull color shows the condition status of Okuneye. If you ask me,I would say,it doesn't look ugly,it is just that it is dull whereas the one on top is very bright and fair. Should you worry about your appearance? In one study,58 percent of girls claimed to be overweight,when in fact,only 17 of them were. In another study,45 percent of women who were actually under weight thought that they were too heavy. 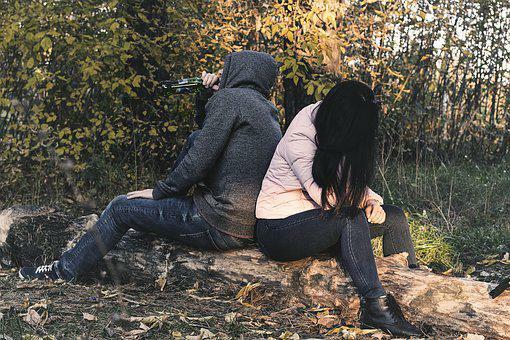 In their quest to lose weight,some youths have fallen victims to anorexia -a life threatening eating disorder that really amounts to self-starvation. Is anything wrong with looking good? Absolutely nothing! In fact,looking good is a virtue. The only thing wrong with looking good is going so extreme to the point of starving yourself,causing yourself internal injuries and problems. Again,the quest to look so good to the point of losing one identity is absolutely wrong and bad! While there is nothing wrong with wanting to look good,far more important than your appearance is your personality.In the long run,praiseworthy qualities will make you more attractive to others than a strong body or a beautiful figure will. '''Prettiness can get quick attention'' says a pretty girl named Phylicia,''but who you are on the inside and your good qualities are what people will remember about you the most''. So,should you worry about your appearance?